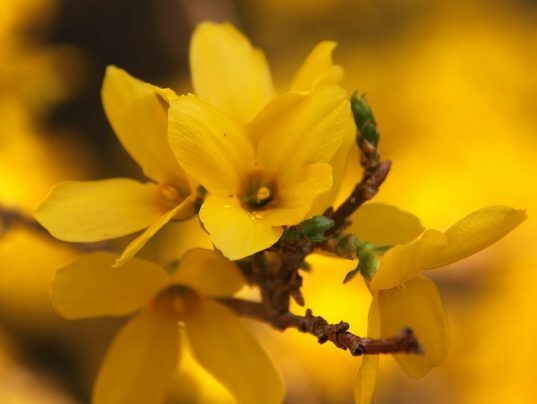 Home / All BambooPlants.ca / Forsythia x intermedia. 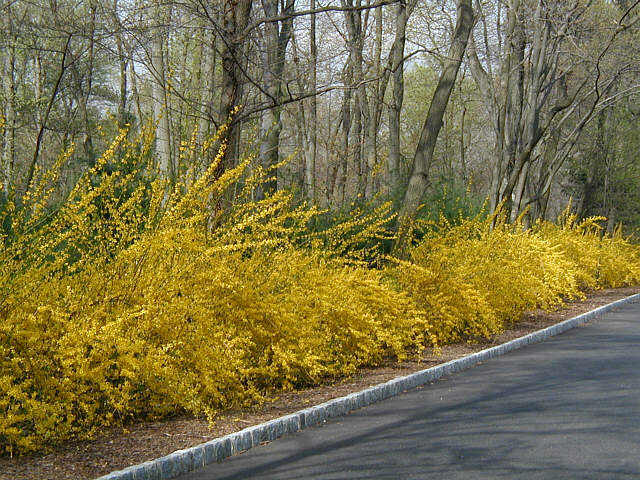 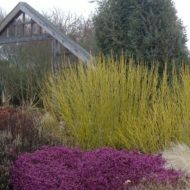 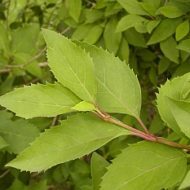 Native to Ireland, Border Forsythia is a deciduous shrub with both upright and over-arching stems. 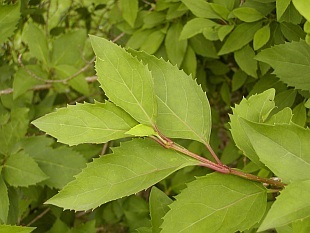 It is grown for its profuse, early flowering. 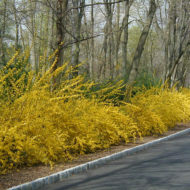 Masses of squarish brilliant yellow flowers last for several weeks, March to April. 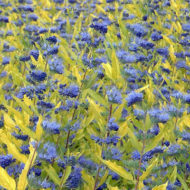 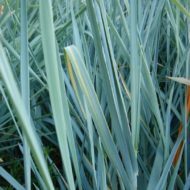 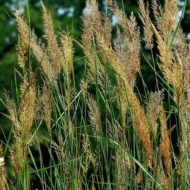 Grows to 9 ft in height and width and makes a good border or hedge.